Our shop is a state of the art facility combining today’s modern technology with the hands-on craftsmanship of true artisans. The finest raw materials are transformed though our processing and “specials” departments before they move on to assembly and finishing. We make all of our doors, drawer fronts, drawer boxes and the majority of our accessories in-house. All the parts come together and culminate in a truly hand-crafted cabinet project. We pride ourselves on our green building standards and the shop is a great example of this. We recycle unused wood and our sawdust for a variety of purposes assuring that as little as possible goes to waste. 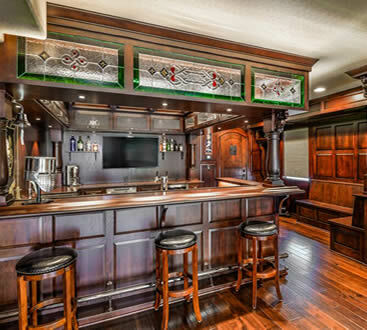 Locally owned and operated by a team of cabinet professionals with over 100 years combined experience between them, The Artisan Shop strives to not be the biggest manufacturer of cabinets in Colorado, but the best. Our staff is here to assist you in every step of the process, from your first visit to the showroom to making sure you love your new cabinet purchase for years to come.